Robert Davis Yancey who has served as commonwealth attorney for the state of Virginia for more than a quarter of a century continuously, is a descendant of a family which has had numerous distinguished members both in this country and in Europe. The Yancey family in Virginia sprang from four brothers--Charles, William, Joel and Robert--who came to this country from Wales in 1642 with Sir William Burkley, later governor, and who settled in the James river section and prospered there. The branch of the family under discussion here is descended from one of these brothers, but there is a break of two or three generations between the founders of the family and Captain Robert Yancey, the first of whom we have definite record. 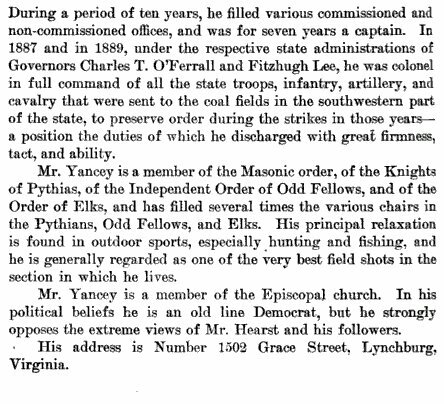 (II) Major Joel Yancey, son of Captain Robert and ------ (Duke) Yancey, served in the war of 1812 with the rank of major, his commission being still in the possession of one of his descendants. He was a typical Virginia gentleman of his day, owning a large and fine estate near Forest Depot, Bedford county, where he built a commodious brick mansion, and entertained his friends there with the lavish hospitality for which the south was then noted. His nearest neighbor, and a warm personal friend, was Thomas Jefferson, who mentions Major Joel Yancey in one of his books. After his death the home place was sold and later came into possession of Colonel Radford, who married a granddaughter of Major Yancey. The house was destroyed by fire in 1912. Major Yancey is buried in the family graveyard on the old place. Major Yancey married (first) a Miss Burton, (second) Elizabeth Macon. By his first wife he had: Robert J., who moved to Missouri; Martha, who married General Davis Rodes, a hero of the Mexican war, and had a son, General Robert Rodes, who was a major-general in the Confederate army. By the second marriage there were: William Tudor, of whom further; Charles D., removed to New Orleans, amassed a fortune, and married a Miss Mallarch, a Creole; Betsy, died unmarried at a very advanced age; Louisa, married Thomas Steptoe; Mary Barbara, married Colonel Thomas Macon, removed with him to New Orleans, and died there of yellow fever; Anne Rebecca, died unmarried. (III) William Tudor Yancey, son of Major Joel and Elizabeth (Macon) Yancey, was born in Bedford county, Virginia, in 1811, died in the same county in 1889. He was raised on the old family plantation, receiving an excellent education for those times. 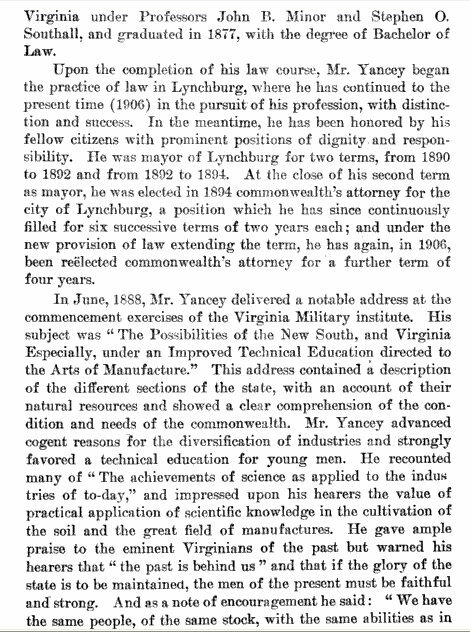 For a short time he taught school, then studied law, was admitted to the bar, and began a legal practice in the city of Lynchburg which was successful from the first, and which lasted fifty years. 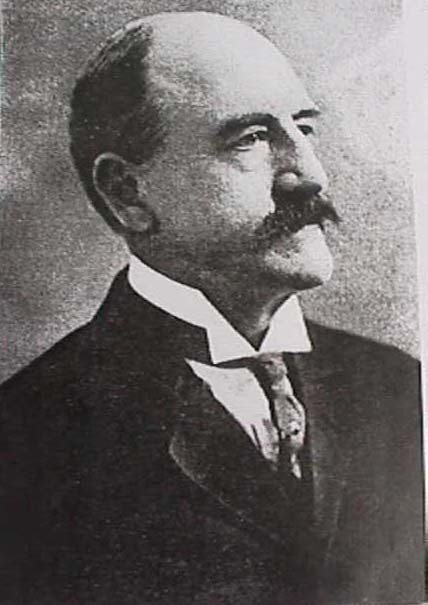 He achieved great prominence at the bar and became one of the leading lawyers of Lynchburg; was elected to the legislature several times, and served as commonwealth attorney for a number of years. Mr. Yancey married Lucy Elizabeth, a woman of remarkable intellectual gifts, and a daughter of Henry Davis, a prominent citizen of Lynchburg. They had children: Mary Louisa, died unmarried; Henry Davis, who was first lieutenant and color bearer of the Second Virginia Cavalry Regiment, on General Robert E. Rodes' staff, his first cousin, and was killed in his twentieth year at the battle of Spottsylvania Court House; William Tudor Jr., married (first) Mary Radford, of Pulaski, (second) Eugenia Macon, has one child, Thomas Macon Yancey; Robert Davis, of further mention. 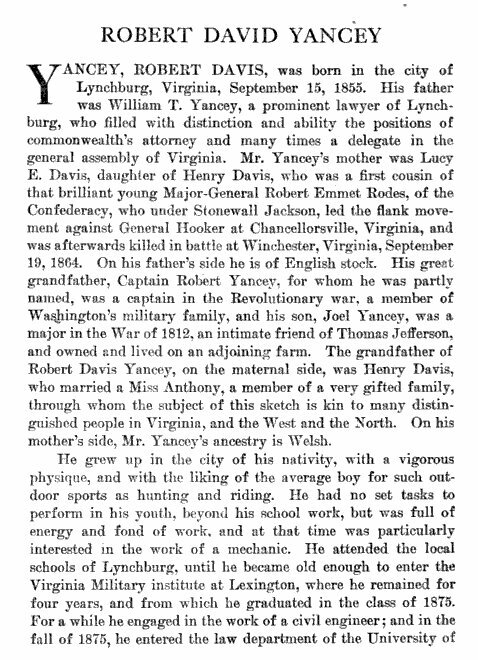 (IV) Robert Davis Yancey, son of William Tudor and Elizabeth Lucy (Davis) Yancey, was born in Lynchburg, Virginia, in the old family home on Diamond Hill, September 15, 1855. 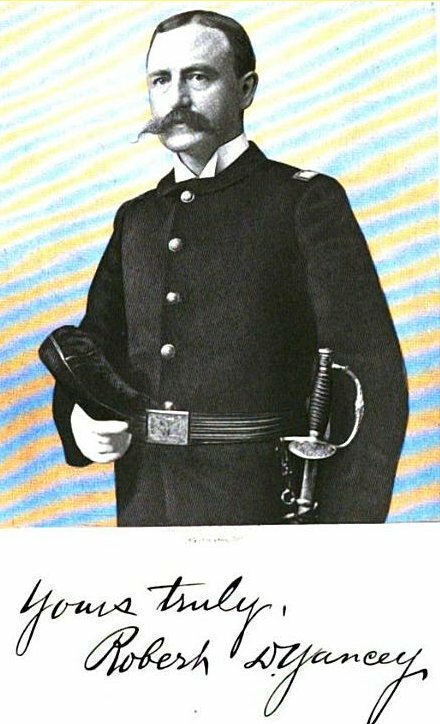 He was educated in the Virginia Military Institute, being graduated with the class of 1875, then entered the law school of the University of Virginia, and was graduated in 1877, and admitted to the bar of Virginia in 1878. He at once established himself in the practice of his profession and has been successfully identified with this ever since that time, being one of the best representatives of it in the city of Lynchburg. He served two terms as mayor of that city, declining a third nomination to that office. In 1894 he was elected commonwealth attorney, re-elected to that office every two years for a long number of years, until the term was changed from two to four years, when he was again elected, has served continuously since, his present term having commenced in January, 1914. When this term is completed he will have served his city in this office continually for the long period of twenty-eight years. Mr. Yancey is a speaker of acknowledged ability and is frequently called upon to make addresses at political meetings and social gatherings. A speech which he made at the Virginia Military Institute Alumni Celebration gained for him fame as an orator, copies of it being printed and distributed all over the United States. He has always given his strong and undeviating support to the Democratic party. He served nineteen years in the Virginia National Guard, rising to the rank of colonel. During the administration of Governor Lee he was ordered to the coal districts to quell the riots, a duty which he performed tactfully and successfully. Later, under Governor Ferrall, he was again ordered out with his command for the same purpose, and achieved the same result.